Ralph provides sound legal advice to our executive leadership team. 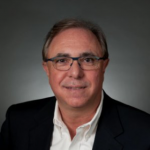 Ralph is an experienced executive in the Aerospace and Government Contracting markets. He served as Vice President and Assistant General Counsel providing legal guidance to Northrop Grumman’s Information Technology Sector with 4.5 billion in sales including a $200m dollar commercial business. He served as Global General Counsel to Siemens Enterprise Communications tasked with restructuring and management of the global law department, comprising 20 lawyers located from Brazil to Russia. When not in the office, Ralph enjoys a good tennis match or a round of golf, as well as supporting his wife’s music business.